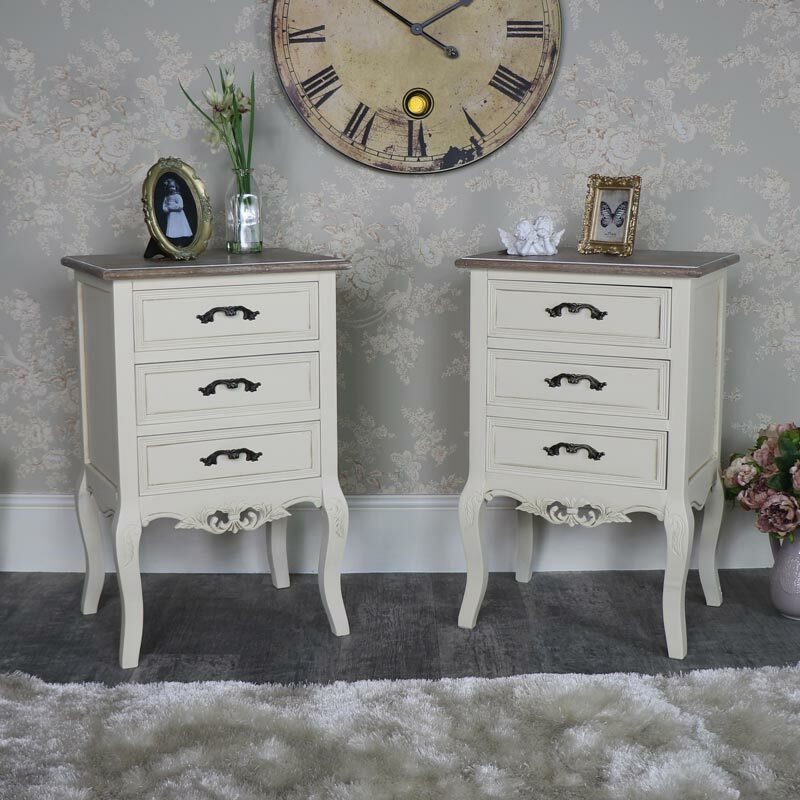 This is our stunning Georgette Range pair of bedside chests. Stunning furniture that epitomises the elegant French style. These bedsides will make a georgeous addition to your bedroom decor. In a set of 2, these beautiful bedsides will look quite at home in a French style bedroom, perfect for sitting at either side of your bed. The 3 drawers offer the perfect storage solution for all your knick-knacks and with the extra surface space to place a bedside lamp. Each bedside comes with 3 drawers, fronted with ornate scrolled brass handles. 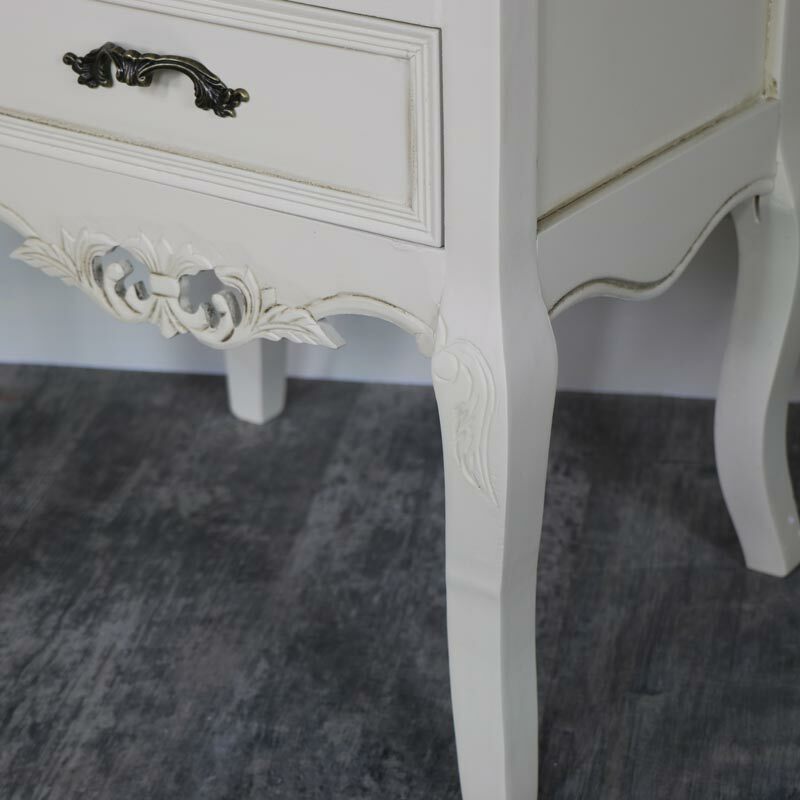 The detailing on the bottom and the elegant carved legs add to the vintage French look of this furniture.The top of the bedside tables have a natural brown wood top with limed effect. This is our stunning Georgette Range pair of bedside chests. 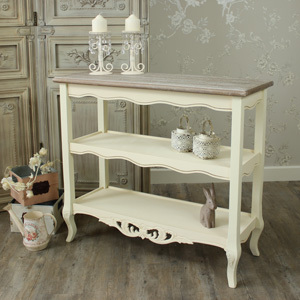 Stunning furniture that epitomises the elegant French style. These bedsides will make a georgeous addition to your bedroom decor. In a set of 2, these beautiful bedsides will look quite at home in a French style bedroom, perfect for sitting at either side of your bed. The 3 drawers offer the perfect storage solution for all your knick-knacks and with the extra surface space to place a bedside lamp. 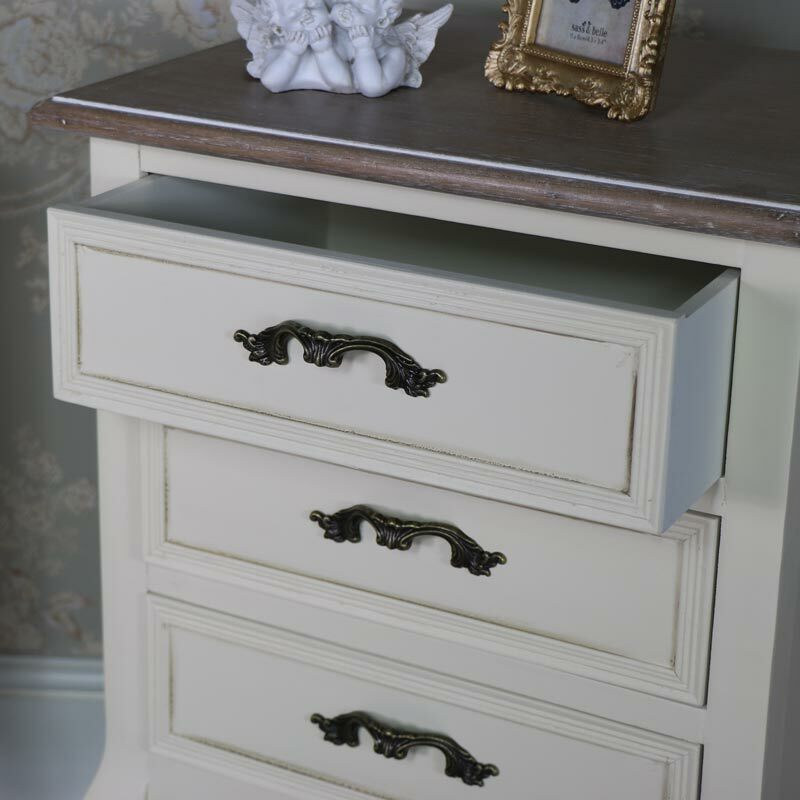 Each bedside comes with 3 drawers, fronted with ornate scrolled brass handles. 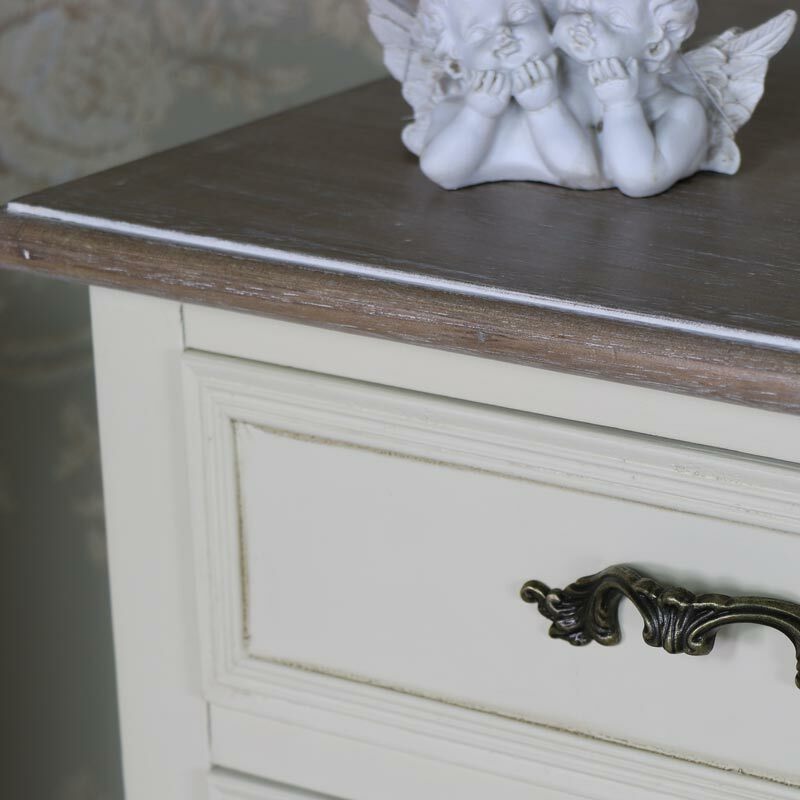 The detailing on the bottom and the elegant carved legs add to the vintage French look of this furniture.The top of the bedside tables have a natural brown wood top with limed effect.